I was born with a moderate to severe hearing loss in both ears, cause unknown, and was fitted with my first body hearing aid at 11 months. About a year later, the opposite ear was also aided, I believe using a “Y” cord with the one single aid. After some time, I got a second body aid and wore the two simultaneously. I was mainstreamed from the start with the help of outside visits with a hearing/speech teacher. In sixth grade, I upgraded to two BTE’s after my teacher noticed I was not hearing as well. In my mid to late twenties, my hearing began declining rapidly. In 1988, I suffered a bout of Tullio Syndrome in my left ear, rendering it unaidable. The amplified sound coming out the hearing aid was distorted and would cause intense dizziness and loudness recruitment. 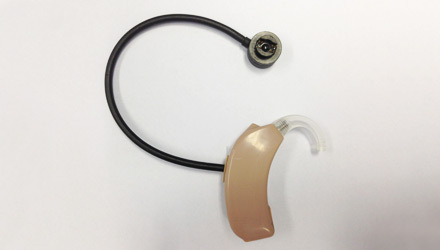 About a year after the Tullio incident, I met my ex-fiancé, who was a hearing aid dispenser. 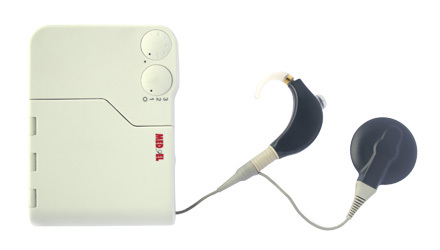 At his suggestion, I became curious about a new technology called a cochlear implant. Together we discussed and researched the idea. I went to Lahey Clinic for a CI evaluation. 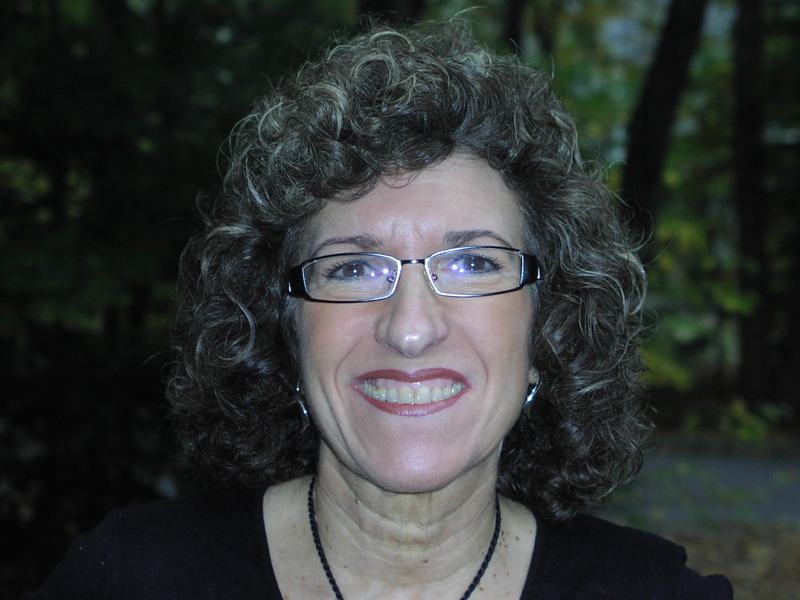 I was rejected because I did not meet the FDA guidelines for a clinical cochlear implant device. At that time, a prospect had to score 6% or less on the single word tests, and I kept scoring 7%, outclassing myself. Not wanting to give up, I went through 2 more cochlear implant evaluations, one at Yale University Hospital, and the other at Massachusetts Eye and Ear Infirmary (MEEI). Yale also rejected me for a clinical device, but recommended that I wait for a new emerging cochlear implant system called the MiniMed, being developed in California. This was the precursor to today’s Advanced Bionics implants. I suspect they suggested waiting because it would buy me more time for either my hearing to deteriorate further, or for the clinical guidelines to relax. I did not want to wait, as I was fearful of losing the opposite ear any day. I live independently and needed to keep working. 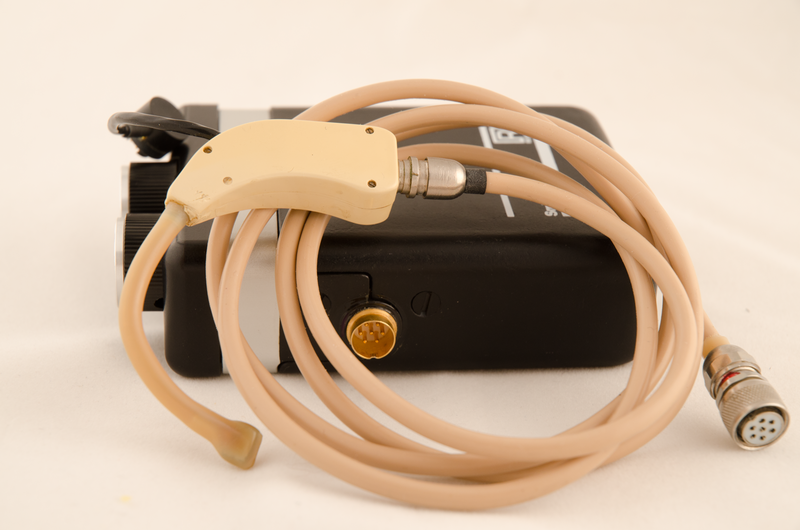 At MEEI, I also did not qualify for a clinical program, but their cochlear implant research program gave me a two-pronged option: enroll in their program with the Nucleus device in a research capacity, or take on a more experimental device, the Ineraid. They had high hopes to obtain FDA approval for the Ineraid at the time. It took me some time, research into the marketing materials, rudimentary observation of others with the two systems, and finally serious thought to make this decision. I concluded that it made sense to opt for a “generic “ device such as the Ineraid. There were no implanted electronics that could break or hinder upgrades. All of the electronics existed *outside* of the body. 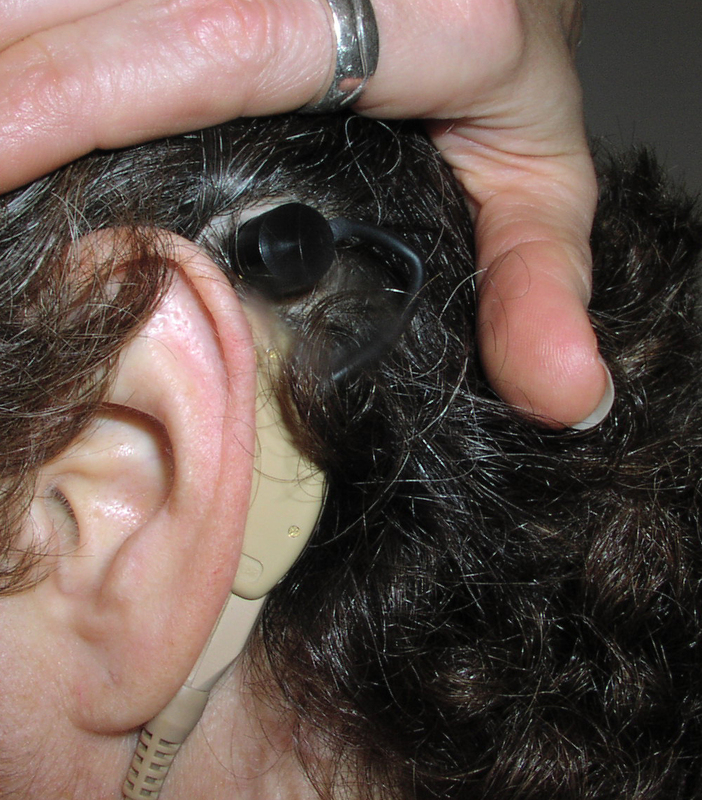 The external hardware is connected to the implanted electrode array via an outlet that protrudes through the scalp. This outlet, working like a wall socket, is called the percutaneous pedestal. This meant that the hardware *and* software was outside the body, in the hands of developers. I decided simple “plug and play” was the way to go. I would have easy opportunity to try any of the latest technologies. Little did I know that the world was going to move to implanted electronics so quickly. And little did any of us know that that Ineraid, with the same low infection rate as other implants, would not gain FDA approval for the reason of infection risk. Beat this selfie! My earhook connected to the percutaneous pedestal. I underwent surgery for the Ineraid array on October 26, 1990. The operation was 5 to 6 hours long, with no immediate complications. Recovery was about 2 weeks. During this time, I was struggling with intense dizziness. It may have had something to do with the Tullio issue, or possibly just postoperative fluid loss in the semicircular canals which comprise the ear’s balance mechanism. The dizziness was steady, but did eventually subside to an episodic pattern over the following year. At about 6 months, the episodes grew shorter and less severe until they were finally gone completely a year later. Hookup was in December. When I was initially switched on, I listened and immediately declared it was not working. All I heard was clicks and pings. It was pretty bad! Then Dr. Eddington, inventor of the Ineraid device, said “Wait” with a capital W. He then brandished a screwdriver. With that screwdriver, he bent over the opened processor and began to twist 4 screws while literally voicing 4 vowel sounds: A, E, O and U. At each of those screwheads began the lead to the 4 active electrodes in the implanted Ineraid array. I had to tell him when they sounded of equal loudness. That was the “mapping” in its earliest form. I was then instructed to take out my hearing aid in my opposite ear and go home. I recall pronounced lightheadedness from switching the usual ear off and the opposite one on. I felt very unbalanced. This was a feeling that was so pronounced, it was almost unbearable. I truly believe the experts did not realize the gravity of the stunt they expected me to perform here. I was still hearing mostly clicks and bells. I stuck with it and recognized just one sound by the end of that first day; a dog barking in the distance. However, I believe it was just the cadence of the bark and the fact that we were standing outside in a quiet suburban yard that helped me identify the sound. It was another 2 weeks before I could get a toehold on the new stimuli. That handle was the sound of folding vertical louver blinds. Once that sounded like blinds closing, other familiar sounds began to fill in for me. It was a domino effect, with many pieces falling into place. Once that got underway, my journey of discovering new sounds began. I would say this was a 5-year ongoing process. It was a very mentally intense time as there were so many new sounds I had never heard before (food sizzling in a pan, the hiss of a lit match, the cat scraping in the litter box, the time clock beep, perfume spray, etc). As for communication functionality, it made lipreading immensely easier, but I still needed to lipread in most situations. I could use the phone only with the most familiar people. But I did enjoy music! Immensely, as I heard so many new high notes. My old favorites became new ones. The first processor I used operated on a primitive Simultaneous Analog Stimulation (SAS) strategy. SAS is basically an all-on firing strategy. What they discovered over time was distorted hearing from these 8 electrodes firing simultaneously. The electrodes’ signals were fighting against each other. From the feedback of us subjects, they developed the idea of making these electrodes take turns and fire off alternately so each one could have the “dance floor”. This was the birth of CIS, or Continuous Interleaved Sampling. I spent much of 10 years as a research subject participating in the development of this strategy. CIS served as a foundation of many of today’s implant processes. Because this was a new concept, there was not yet a wearable processor that ran CIS. I had to give feedback via tests in the laboratory, and we delivered our responses via a very simple computerized user interface. In order to be tested through this CIS strategy, I was seated in an open sound booth with wires running through the wall. One of these wires plugged directly into the pedestal in my scalp. I was plugged directly into a myriad of boxes that looked like our old stereo receivers, but even older than that. These had old fashioned toggle switches and a green oscilloscope to illustrate pulse (or current?) strengths. Old stuff, but it still did what it needed to do! The tests would be set up in many different ways in the “back room” and the feedback from me (us subjects) was mostly via a Pong-like computer screen with three boxes that would light up with each signal. We would have to pick the one that was different. There was just not hours, but days and years of this seemingly same tests. I went to the MIT campus to perform speech production exercises. I did get the explanation that they were studying how speech changes when hearing is improved. They had me repeat over and over the same sentences with just one word slightly different. Ingrained in my mind is saying: << It’s a pod again. It’s a rod again. It’s a mod again. >> etc etc. To record my speech actions, I had to wear a chest strap, electrodes on my throat and cheeks, some kind of air mask, and speak into a microphone. There were many different kinds of exercises where I had to put up with discomfort and “perform” for 2 solid hours. For a while I was living in Salt Lake City, and working at the University of Utah Medical Center. One day I was walking down the corridor, and a man spotted me as an Ineraid patient. 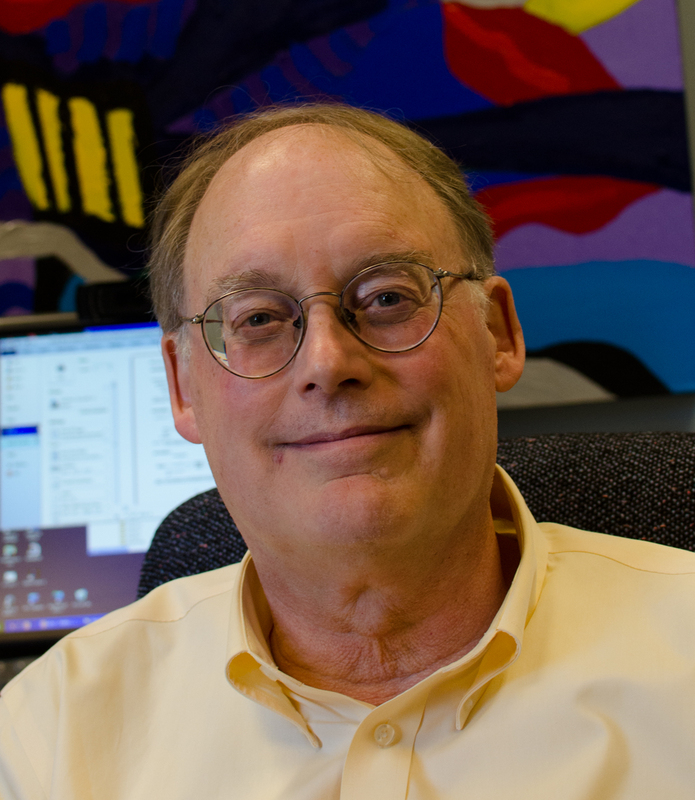 Of all people, it was the famous cochlear implant researcher, Dr. Michael Dorman! He asked me to volunteer as a test subject to try a new device. That was the start to a tight and personal research endeavor. Just before that time, Smith+Nephew and Richards as the parent company overseeing the Ineraid product, decided to across the board, change some component on the processor board (resistor, transistor?). Whatever, it totally wreaked havoc on my hearing with the Symbion processor. At the time I approached by Dr. Dorman, I was struggling with pretty lousy hearing that should not have happened as such. Thankfully Michael Dorman could clearly see through his testing how badly the revised Ineraid was serving me. I don’t think it was his plan but he decided to let me try a MED-EL processor modified to run CIS. OMG!!!! First I saw daylight with the Symbion, then I was awash in sunshine with this MED-EL treasure. I was so fortunate to be able to change processors, even to one from a different company. MED-EL CIS PRO+ used with my Ineraid array! I was astounded when I returned to my office that same day he gave me this processor to try. People, like my boss, saw the wonder and joy in my face. This was *connection*! However, I’m guessing it might have been too much connection as I think the processor was set too sensitively. I think I heard things I was not supposed to hear (and why not, is always my question!) I was hearing stuff in my home out there that my companion could not, like the rushing of air through the ducts. Dr. Dorman was provided more explanations about his testing than the folks back in Boston. In both Boston and Salt Lake City, there were many, many threshold and pitch discrimination tests. Dr. Dorman did many pitch discrimination tests with me, which showed how scrambled my hearing was with the “newly improved” processor. Dr. Dorman explained how CIS worked and it became clear to me the reasons for the pitch tests. They were varying the electric outputs of the individual electrodes to create virtual electrodes at the points where the electrical fields of the electrodes intersected. I thought this was the coolest concept! I wore the MED-EL processor when I moved back to the East Coast. Unfortunately it began to produce static, which grew louder over time. No one could resolve the issue, so Dr. Don Eddington retrieved that beloved MED-EL processor, returning it to Dr. Dorman. Dr. Eddington then put a Geneva processor on me, which he had developed with some people in Switzerland to make a body-worn processor that can run CIS. I never liked it as well as I did that MED-EL. But it could all be in the settings, programming. Who knows. Can I get that back, I dunno. If I could, the other major question would be: who would service it? Speed dial to 2003, when the opposite ear was implanted, with a clinical device this time. It was a pleasantly easier experience as it was much simpler prep, shorter surgery and much shorter recovery time. We can thank better surgical methods after initial trials on people like me the first time around. This surgery was much easier and rehabilitation was much easier and faster with this CI because I now had a good basis established for the sounds that I was about to hear. Now that is already 2014 with two CIs, I have been elated to enjoy the advantages that come with binaural hearing. It took 24 years to get to this point, but I still appreciate my chances to scrabble along this path which has helped countless others following me. It was hard work, but also very rewarding. I have many cherished memories from the “old” days that others today would never get to appreciate. I feel gratification from watching the recipients following our research efforts and findings. I am thankful to have input a little bit to bettering some lives. Thank you for listening! This entry was posted in Blog and tagged cochlear implant, Don Eddington, Ineraid, MED-EL, Michael Dorman by CochlearImplantHELP. Bookmark the permalink.